Marriage is like a grab bag at a cheap carnival. You may think you know what you're doing when you lay down your dollar -- but you probably don't. That moment when you look your intended in the eye and plight your troth, did you have any idea what a troth was? I will never forget when my beloved took my hands into his and promised to share everything he was with me. I was in for some surprises. For instance, I had no idea he was a great mouser. Maybe I should have picked up on this the night our phone rang at 3:00 AM. It was his sister who she said there was a rat in her apartment. My husband got up, got dressed, found his car keys and a tennis racket. I asked about the racket. "I might need a weapon." Right after we had our first baby, we also bought our first house in Chicago. Boy, there's a way to keep young people off the streets. Give them a newborn AND a house that "needs work". One of the things we did to that house was knock out a wall between the kitchen and the back porch. After that we made a hole in the exterior wall of the foundation to extend a heat duct to the new section of the kitchen. I can hear all you pest extermination professionals laughing from here. Did we fill the tiny cracks around duct that ran through the outside wall? No, we did not. Was it early autumn when the mice are restless? Yes it was. It didn't take long for crowds of tough little city mice to swarm into our warm little house. I really hate that surprising moment when you see a mouse scurrying along a wall, under that toe-kick part of a cabinet, peaking from some dark corner in a basement. What I do when I see a mouse under these conditions is, well, I scream. So we sealed the crack around the heat duct. We set traps. We went to the Humane Society, looked at their stock of cats, let our 3-year-old pick one out. She chose a scrawny, mottled cat with fierce green eyes. The cat had been waiting 13 days for an owner, she would have been a goner the next day. That night that amazing cat caught seven mice. By the end of the week, she'd cleared the house. Of course, she never completely murdered the mice. She'd just sort of punch their lights out, then pick them up by the scruff of their tiny necks, race through the house, up the stairs, and into my daughter's bedroom. A grateful cat is a force of nature. I'd hear her come tearing up the stairs on her little cat pads. I'd poke my sleeping husband who would say something like, "Oof. Okay. Another one?" And he'd pull on his mouse gloves -- thick old winter gloves a mouse couldn't bite through. He'd go into the children's bedroom and I'd hear low urgent wrangling scrabbles and a few words along the lines of, "You gotta give me the mouse. I mean it." Then he'd walk back out and down the stairs. I'd hear the back door open and I knew another mouse was airborne. That was a sleepless week. It was a Sunday afternoon of our first year in Racine and I was hanging up my jacket. There, sitting on top of the bi-fold door, was an itty-bitty, tri-colored mouse. It wiggled its whiskers at me. Of course I screamed. My husband found his tennis racket and mouse gloves. The kids (they were all very little at the time) ran to the shower stall and pulled the door shut. I tried to be helpful as my husband chased the mouse. Our two cats chased the mouse, too, though not with as much energy as my husband, who knew his personal life was over until his wife's life was mouse-free. We saw the mouse run under the big chair. I tipped the chair up. There were TWO mice there, one alive, the other a cat toy. The cats took the toy and played with it the rest of the afternoon. It's easy to be cynical about the purpose of cats. The real mouse ran out and, in its panic, ran exactly between my feet. I screamed, jumped on a dining room chair, tucked my jeans into my socks. My husband, meanwhile, was laughing so hard tears were streaming down his face. The kids were yelling from the bathroom to ask what made Mom scream like that. In the end, my husband prevailed and that mouse flew, too. There have been many other mice, many other stories in our long life together. Including earlier this week, when I called my husband at work because a mouse was apparently having a playdate with our four, fuzzy-headed, slacker cats. My husband left his office, drove home, caught the mouse while the cats watched, and then went back to work. I think "plight your troth" means something like "I'll put on my mouse gloves and wade into your little battles for you." I laughed a lot at this story. Way to funny. I have some mouse stories of my own - as u well know. Ha. We have a live trap at the farm...Neal takes the critters out to the back pines. I do not like seeing them...even in their cage on their way out to ‘freedom’? Good to hear about your similar mousey-contact reaction . I also scream if I find dead ones....which I seem to stumble across with greater frequency than desired. I wonder why is it Icescream about these little tiny somewhat cute creatures. But I do and that’s that. I’m Very grateful for those who can deal with these little things! 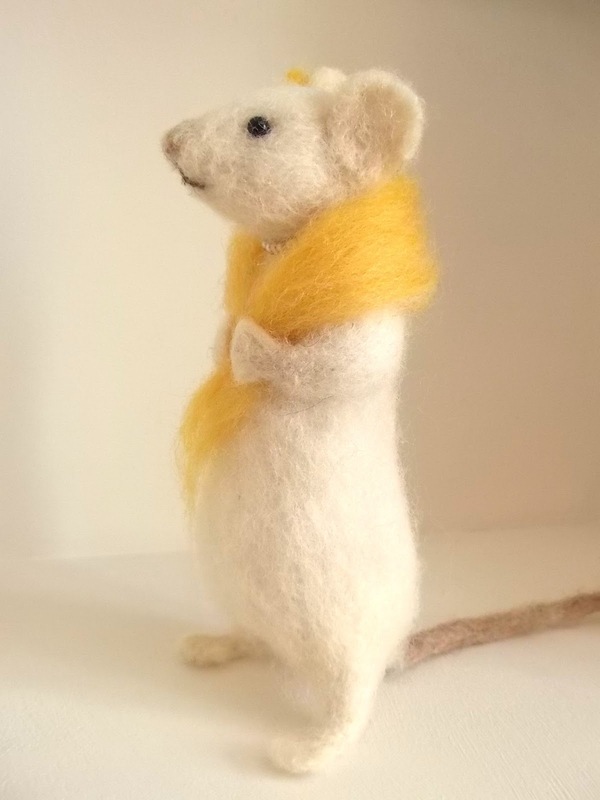 It's been a good winter because I can only think of two mice that I have had to deal with as apposed to last year... Last year I had a bumper crop of the disgusting little creatures running around the house and getting into everything... I would move a pillow and find a dead one laying there,or I'd find one behind a cabinet or table... My neighbor on the corner feeds the ferro cats in the neighborhood and they use my back yard to hang out and sunbathe... I'm thinking that probably has something to do with the lack of mice. Not real crazy about the cats in my yard but if they ate the mice then I guess it's ok with me.